Consider the polynomial . The first coefficient is 1, making this, by definition, a monic polynomial. Also by definition, the roots of a monic polynomial are called algebraic integers. The polynomial is irreducible, meaning that it cannot be factored into a product of polynomials with integer coefficients. The highest power is 3, so by the fundamental theorem of algebra, the equation has exactly three complex roots, counting possible multiplicities. Some irreducible monic polynomials with integer coefficients have special names when their roots have certain properties. 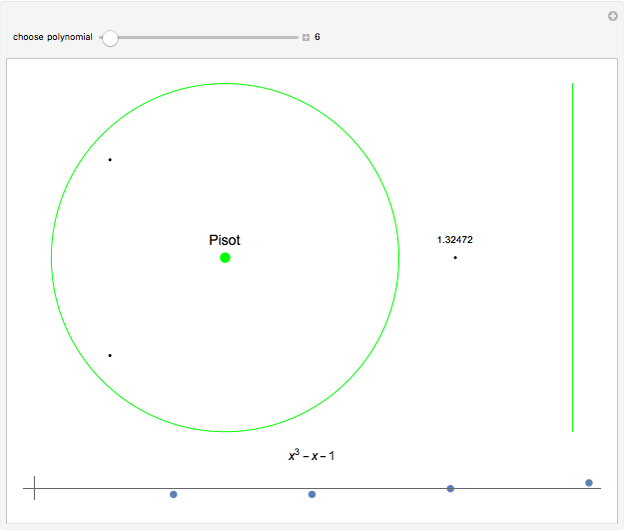 A Pisot polynomial has exactly one real root greater than 1 and all other roots inside the unit circle. The Pisot polynomial with the smallest possible real root is . This real value is called the plastic constant and is approximately 1.32472. 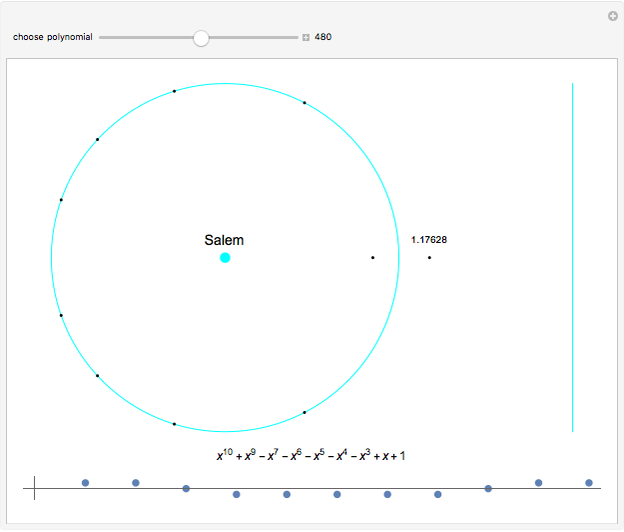 A Salem polynomial has exactly two real roots, and , with the other roots on the unit circle. The Salem polynomial with the smallest known real root is . 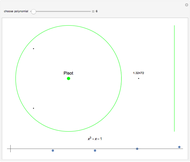 This is called Lehmer's polynomial, with the real root . Whether this is the smallest possible such value is an unsolved problem. 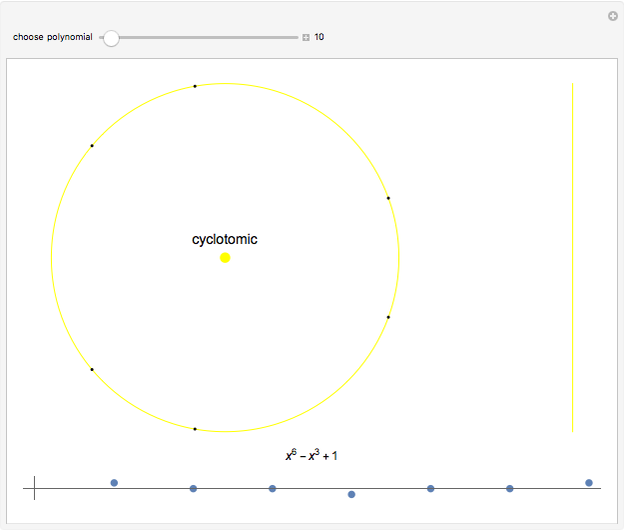 A cyclotomic polynomial has all its roots on the unit circle. 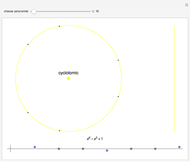 The first cyclotomic polynomial to have a coefficient other than or is the , which has two coefficients of . The is the first that has a coefficient different from , , ; it has three coefficients of . This Demonstration features polynomials of each type, for polynomials with a reasonable number of terms and the real root less than 2. The roots are shown along with the unit circle and a vertical line at 2. 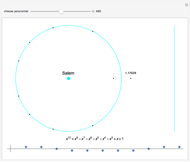 The polynomial is shown under the graphic along with a plot of the coefficients. M. Mossinghoff. "Small Salem Numbers." (Sep 24, 2018) www.cecm.sfu.ca/~mjm/Lehmer/lists/SalemList.html. Ed Pegg Jr "Pisot, Salem and Cyclotomic Polynomials"